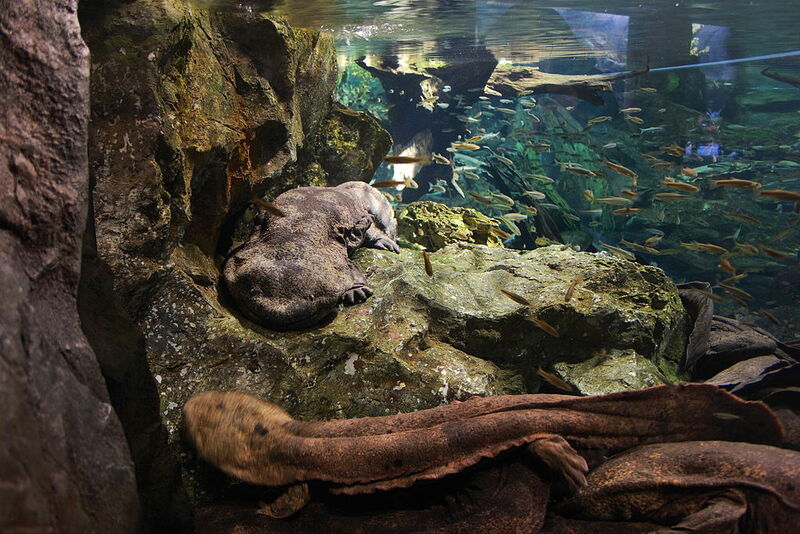 Giant salamanders can grow to be up to 4 and a half feet long. They tend to crawl up onto the shore in fresh-water rivers. They may look gross, but they are generally harmless and some say they’re even “cute”!